My dad bought me the basket & bunny for easter one year. It lasted for months! So much chocolate! But that bunny filled with gummi bears is f-ing genius. 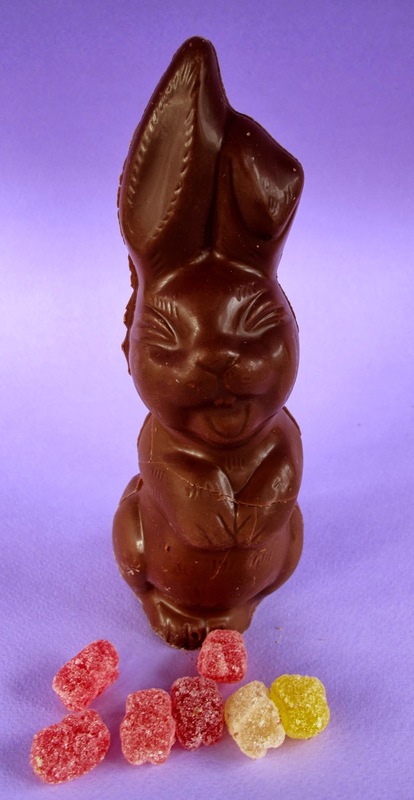 Not to mention how adorable that bunny is with his "Rolling Stone" tongue and the really cute ear-flip!